Published at 27/12/2014 18:15:34 from Argentina, 3914 visits. 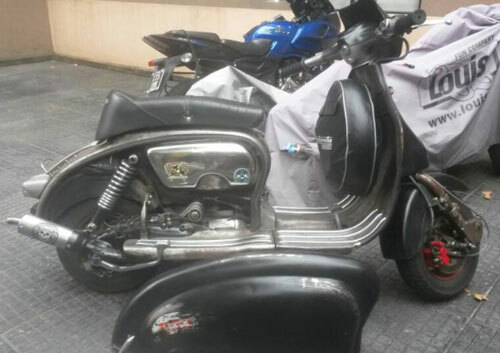 Motorcycle Lambretta TV 185cc. Mugello 185cc nikasil aluminum Kit. Escape 3 JL. Front disc brake. Adjustable suspension. Tank inox XXL 16lts. Tubeless rims. Clutch race group. Race type crankshaft. Seat race tour. Stainless floor rods. On electronic 12v. ruffle 2ks. Great autonomy, cruise 90/95. Final speed 125 km. (approx. ).